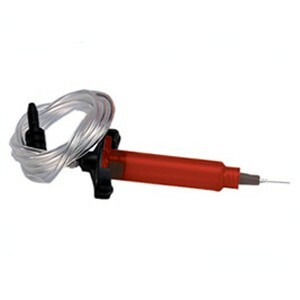 Receiver Head Assemblies are the connecting link between dispensers/controllers and Syringe barrels. They provide a safe connection for accident proof dispensing and made available with 6 feet (183cm's) of air tubing. The assembly consists of the receiver head with fitted Viton® o-ring, tubing and male quick connector. Sold individually. Maximum operating pressure 100psi (6.9bar).